The 2019 IAME Winter Cup has concluded its first official day of competition at the Kartodromo Internacional Lucas Guerrero of Valencia, with Non-Qualifying and Qualifying Practices setting up a first rough idea of the drivers’ hierarchy in each of the four classes heading for the Heats on Saturday. , Valencia, 10 February 2019. IAME Euro Series, © 2019, Alexandros Vernardis / The RaceBox. 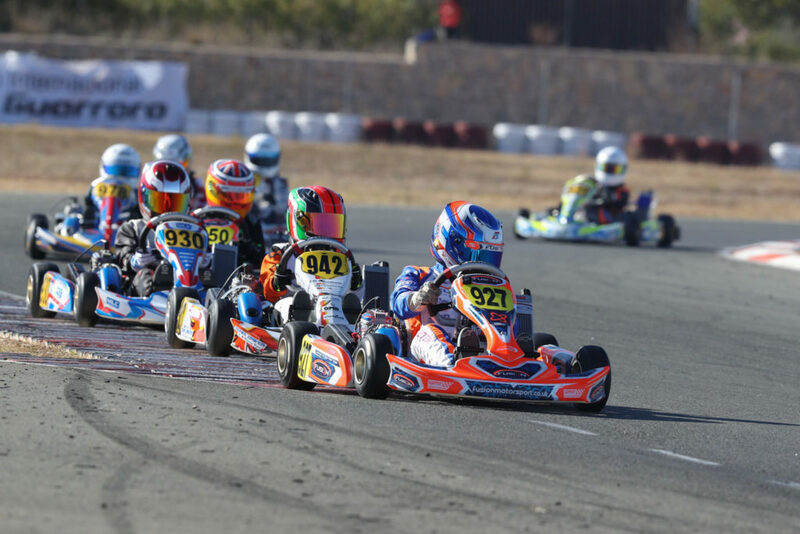 Starting with the youngest drivers entering the event, the Brit Freddie Slater (Fusion Motorsport) set the fastest performance to grab the category’s overall Pole position for each of the three Qualifying Heats this Saturday. Local driver Alberto Gonzalez (BRT) could only get as close as one-tenth of a second to accompany him on the first row of the grid. 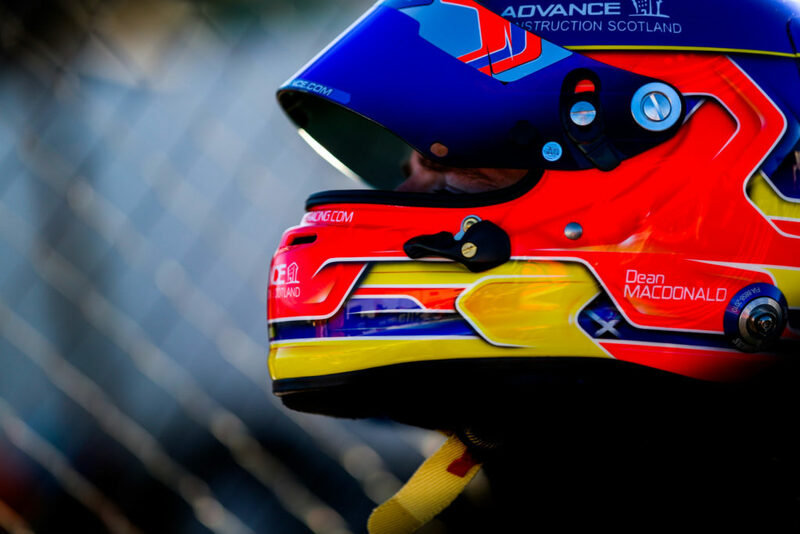 Giovanni Trentin (Team Driver Racing Kart) will start in third position with Edu Lliteras (Fusion Motorsport) by his side, both followed by Ukrainian driver Oleksandr Bondarev (TDK Marlon Kart) in 5th, Sabastiano Pavan (Team Driver Racing Kart) in 6th with the rest of the top ten composed of the two Praga Espana Motorsport teammates Lucas Fluxa (Praga Dragon Evo) and Adrian Benito (Praga Dragon Evo), then Juan Cota (Kart Republic Spain) and Guillermo Martinez-Aci (C.D.Kib Racing) (click here for the complete Qualifying results). Freddie Slater (KR/IAME), Valencia, 10 February 2019. IAME Euro Series, © 2019, Alexandros Vernardis / The RaceBox. 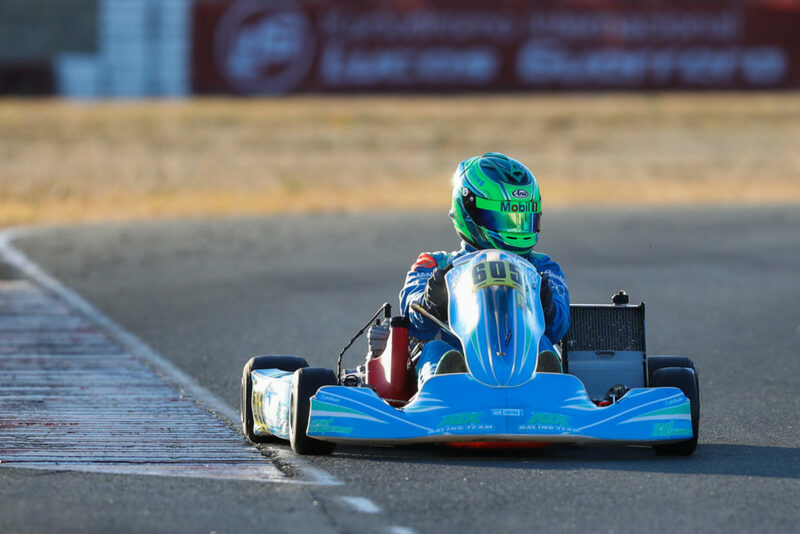 Eron Rexhepi (Kosmic/IAME) clinched overall Pole position among the Juniors, split into two groups due to the impressive number of entries (60). The Swiss will, therefore, start up front in the Group A with Daniel Guinchard (SFR Motorsport) second fastest (at the front in the Group B) ahead of Ken Oskar Algre (Aix Racing Team) third (on top of the Group C) and Oliver Bearman (KR-Sport) fourth (in front of the Group D) (click here for the complete Qualifying results). Dean MacDonald (Strawberry Racing) put himself on top thanks to a cracking lap in the third Qualifying Series of the Seniors. His fellow countryman Morgan Porter (M Sport) set the second-fastest mark and will lead the Group B in the upcoming heat races. Leevi Lintukanto (Team Evolution) is third overall (in front of the Group C) with Daniel Macia (Praga Espana Motorsport) claiming the fourth-best lap time of the day (on top of the Group D) ahead of IAME International Final winner Joe Turney (KR-Sport) who will start on “pole” in the Group E (click here for the complete Qualifying results). Kaspar Korjus (Exprit/IAME), Valencia, 10 February 2019. IAME Euro Series, © 2019, Alexandros Vernardis / The RaceBox. Among the drivers using gearbox-powered chassis, the Estonian Kaspar Korjus (Aix Racing Team) found the magic formula to clinch Pole position in front of three Spanish drivers, Carles Martinez (Praga Espana Motorsport), Carlos Leon (FA Racing Spain) and Brad Benavides (Campos Racing). Reigning Euro Series title winner Thierry Delré (Delré Racing / Mach1 Motorsport) set the 8th best lap time for the Heats to take place tomorrow (click here for the Qualifying results). Click here to download the complete schedule of the event. The first Qualifying Heats will start tomorrow from 10:00 (local time). Check out our Preview of the event here and in the latest edition of the RaceBox Show! To help you follow this year’s IAME Winter Cup by RGMMC, click here to access our special page with Live Streaming (by Telemundi Media) on Saturday and Sunday. Our reports are also published every day to keep you up to date with the results.